I wanted to give you my top recommendations for last minute gifts this year to improve Mental, Emotional & Physical Wellbeing for someone you care about. I’ve structured this post so that you can just skim the headings, pick the area of interest and click the link to be taken to an online purchase option! So, given that time is short, let’s get straight to the good stuff! I have 2 main pieces of equipment that I think almost everyone who exercises should use. 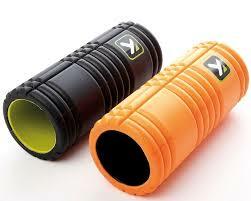 These are the Foam Roller and Lacrosse Ball. The idea behind both of these pieces of equipment is that they provide a type of self massage (albeit not quite so pleasant) which is really important for keeping muscles away from pain and injury. These gifts will be most appreciated by someone who is into their exercise, whereas a novice may well look at it and wonder what on earth they are supposed to do with it! Nowadays most of us are too busy and we often struggle to shut off. This is where meditation apps can change lives! My two favourite meditation / relaxation apps are Headspace and Calm. I’ve used Headspace for years and often use it to introduce clients to meditation and I’ve recently discovered Calm. Both are fabulous, both are perfect for absolute beginners and you can purchase an annual subscription for each that could quite literally be a life saver! These are perfect for stress monkeys / someone who could do with unplugging. 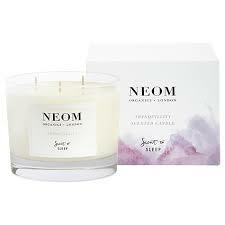 One of my secret weapons to help someone sleep is Neom’s Organics Tranquillity Candle. The essential oils in it calm the nervous system and allow people to wake up feeling refreshed (without having to learn any technique). My clients love this candle. It’s a little pricey for a candle but it will last about a month, and a month worth of great sleep can be a godsend! 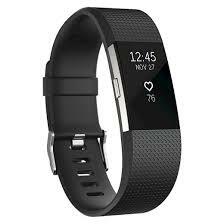 Most of us could do with some help getting and staying more active, and the thing I’ve found works better than anything else for keeping us moving are activity trackers. They can range significantly in price, but even the cheaper ones do a good job. 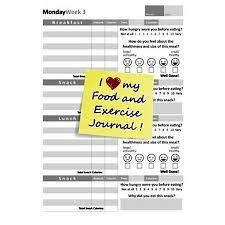 OK, this one isn’t the most romantic present ever, however as a way of helping someone change their eating habits, staying focused and potentially doubling the speed they lose weight, this food dairy (I Love My Food and Exercise Journal) is brilliant! Again, I’ve had many clients use it and they love it! The right book has the potential to change lives, and these are some of my favourites. 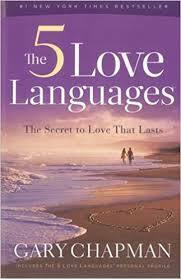 The Five Love Languages is the best book on relationships I’ve ever read. It’s simple, practical and transformational! The Life Changing Magic Of Not Giving a F**k is perfect for anyone wanting to learn how to avoid burn out and stop worrying about way too much! The Slight Edge is perfect for anyone who describes themselves as an all or nothing person and struggles to stay on track with their goals, or anyone committed to having a great life. The Chimp Paradox explains why we behave as we do, and ways to change behaviours! This one will change the way you see yourself and everyone else around you forever. Life will actually make a lot more sense! If you know someone who could do with a helping hand in relation to life coaching, nutrition coaching or simply developing an exercise routine that works and that they will stick to, then get in touch either via email (gordon@localhost) or by text / phone on 07738 235 061 and we can discuss putting together a package to match their needs! I hope that you’ve found something here that you like, and that you and your loved one’s have a fabulous Christmas and a truly awesome 2018.